Staying hydrated with regular fluid intake is important for people of all ages, but dehydration is an especially critical health issue in vulnerable nursing home populations. Dehydration is the result of not taking in enough water to make up for daily losses that occur through breathing, sweating, and excretion. Water sustains all life, and if we do not get enough of it, the body’s functions begin to break down. The effects of dehydration become even more pronounced in the elderly, and dehydration caused by neglect can quickly result in emergency hospital trips and even become fatal if not treated right away. Check with the nursing home staff to make sure that the facility has an appropriate nutritional program in place that ensures residents are consuming enough liquids. A program should include monitoring residents for dehydration, offering a range of beverage choices, both during and between meals, and providing help with drinking when necessary. Sudden onset of symptoms like these may be a medical emergency, so if you see these symptoms and suspect dehydration or another cause, seek medical help from facility personnel right way. Medications. Many nursing home residents take medications that are diuretics. These drugs increase the frequency or volume of urination. Some medications may also cause excess sweating during the day or at night (night sweats). Lack of thirst. With age comes not only a decreased sense of hunger, but a decreased sense of thirst, too. Without routine monitoring by staff, an elderly person might not even realize that the reason he or she is suffering is because of low fluid intake. Illness. Any illness or infection that causes vomiting or diarrhea, including foodborne illnesses, can rapidly result in severe dehydration if not treated appropriately. Diseases such as diabetes or chronic kidney disease (CKD) can cause fluid balance issues, too. Poor kidney function. The kidneys are responsible for filtering wastes from the blood and helping bodies keep a good fluid balance. With age and illness, the kidneys can lose function over time, resulting in more frequent urination. One or more of these factors can come together to create a serious health and welfare hazard for a nursing home resident if the staff aren’t properly monitoring fluid intake. Even a simple step like ensuring that your loved one always has a water bottle or cup near his or her favorite spot, or on the bedside table, can make a difference. Be sure to raise your concerns with your loved one’s care team as well, as they can monitor his or her hydration. By working together, you and the staff can ensure that your loved one is protected from dehydration, and getting as much fluid as is needed to remain as healthy and happy. A nursing home or care facility is supposed to be an environment of trust and support for your elderly loved one, providing care and support above and beyond what most families can manage on their own. 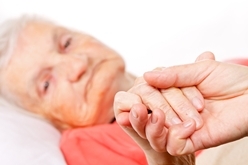 If you suspect that trust has been breached and your loved one has been harmed by dehydration and neglect in a nursing home, get the help that you need and seek out an attorney who understands how to protect the rights of the elderly. For a free consultation about the legal situation of your elderly loved one, reach out to the Law Office of Kenneth E. Berger by phone, live chat, or email today.